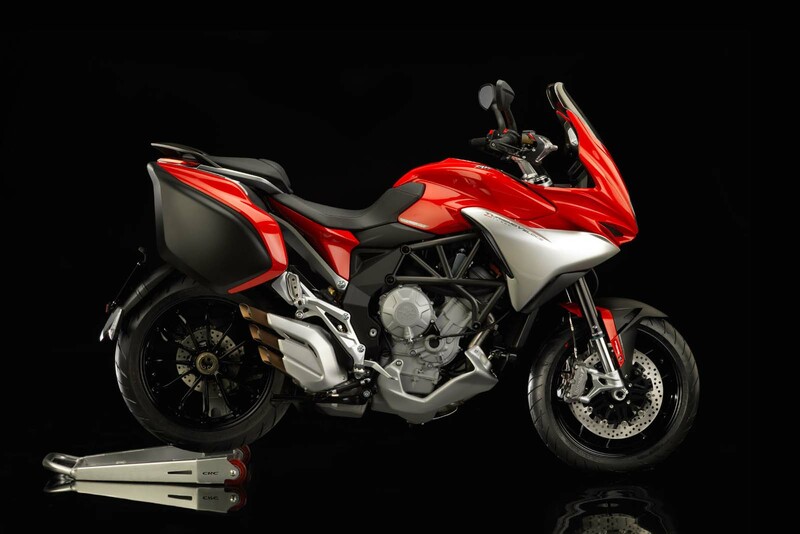 Though MV Agusta gave us a good insight into what to expect at EICMA, the company from Varese has finally debuted its sport-touring machine, the 2014 MV Agusta Turismo Veloce 800. 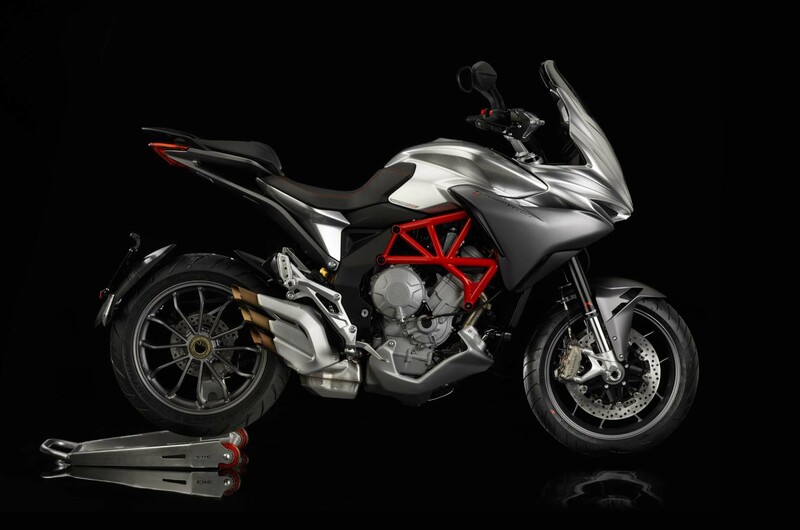 Built around MV Agusta’s 800cc three-cylinder engine, the Turismo Veloce 800 and the Turismo Veloce Lusso 800 (the pannier-equipped higher-spec model) feature a 125hp and 62 lbs•ft of torque. 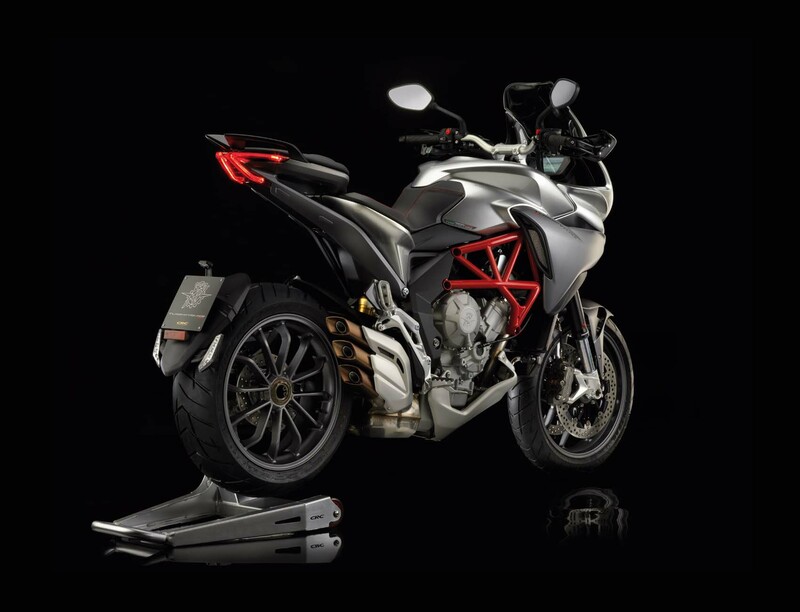 True to the current MV Agusta aesthetic, the MV Agusta Turismo Veloce 800 has obvious design cues from the MV Agusta F3 and MV Agusta F4, and translates those cues into a machine that is very sporty in nature. 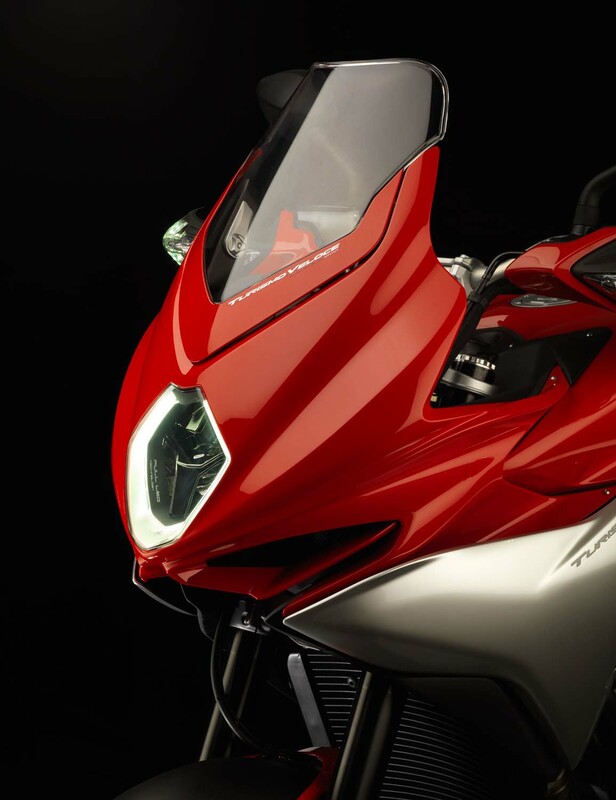 Slenderly built and having performance in mind, the 427 lbs machine boasts the best in class power-to-weight ratio. 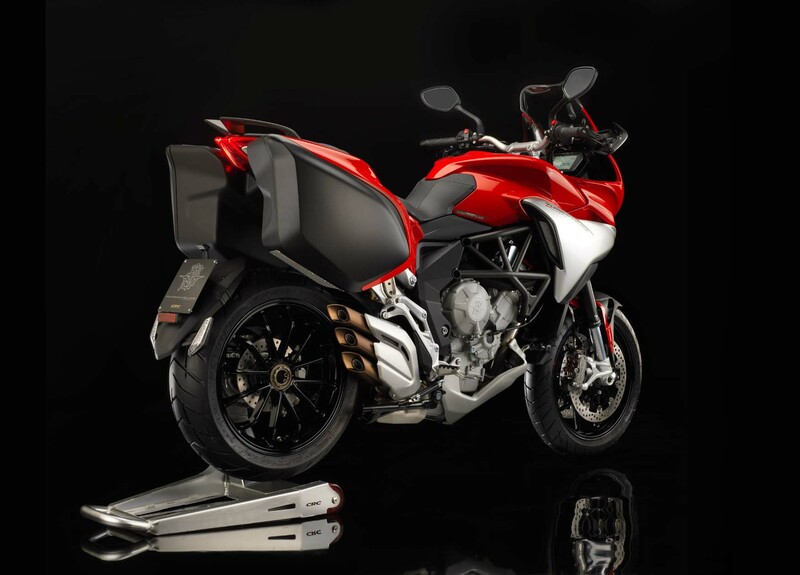 True to the spirit of MV Agusta’s brand, Giovanni Castiglioni reiterated that “nobody needs an MV Agusta in their garage, you buy an MV because it transfers emotions.” The 2014 MV Agusta Turismo Veloce 800 is no different. 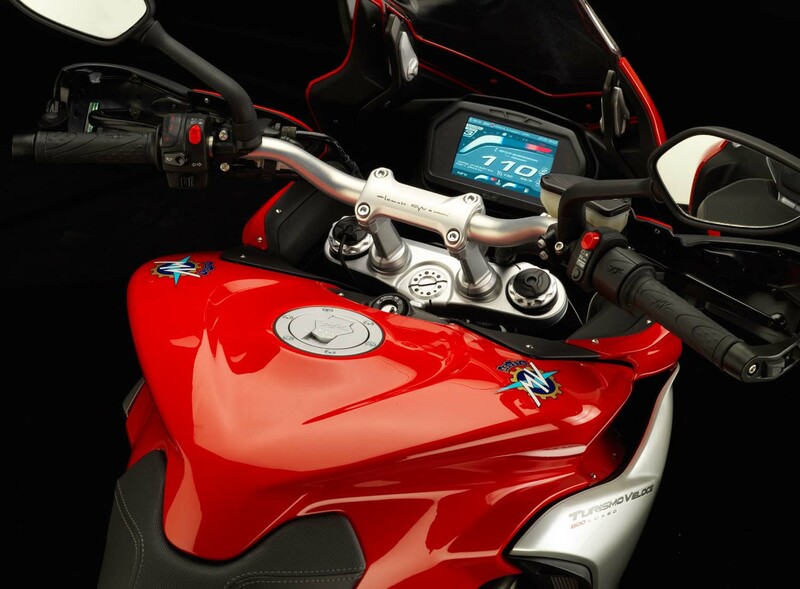 Both specs of the MV Agusta Turismo Veloce 800 feature ABS brakes and the MVICS 2.0 electronic system. 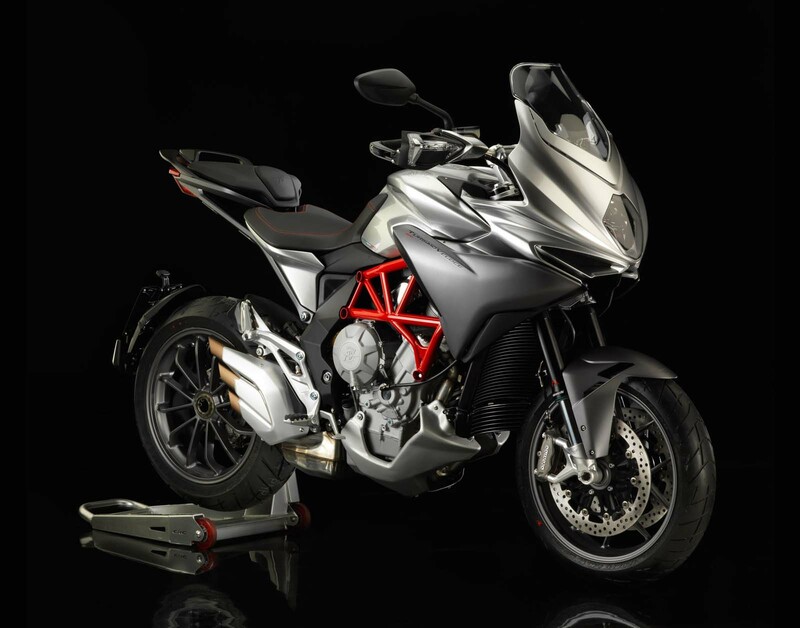 MV Agusta says that the MVICS 2.0 update not only refines the eight-level traction control system, quickshifter, and ride-by-wire throttle control (with four rider-selectable maps), which are currently found on the first-generation machines, but that the update also makes improvements. 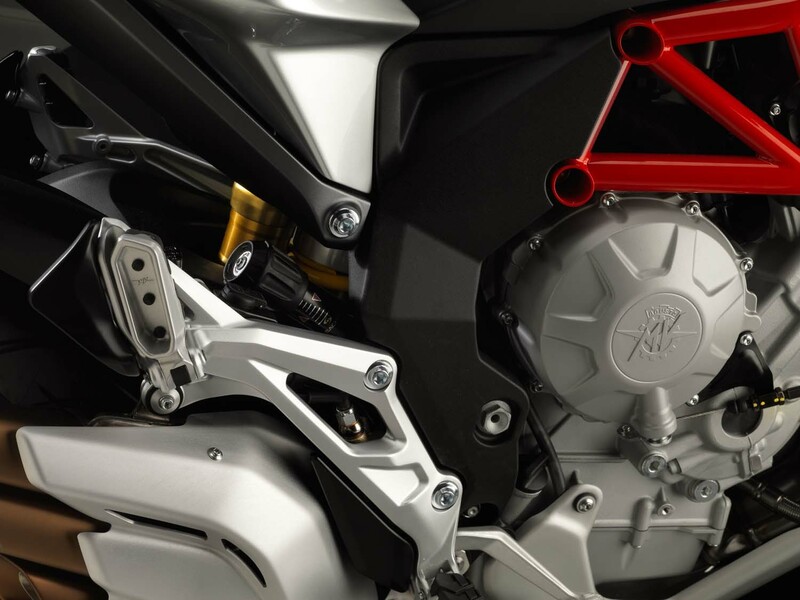 Now, the system includes a quickshifter that works for downshifts, with MVICS instantly matching the torque of the engine to the newly selected gear. 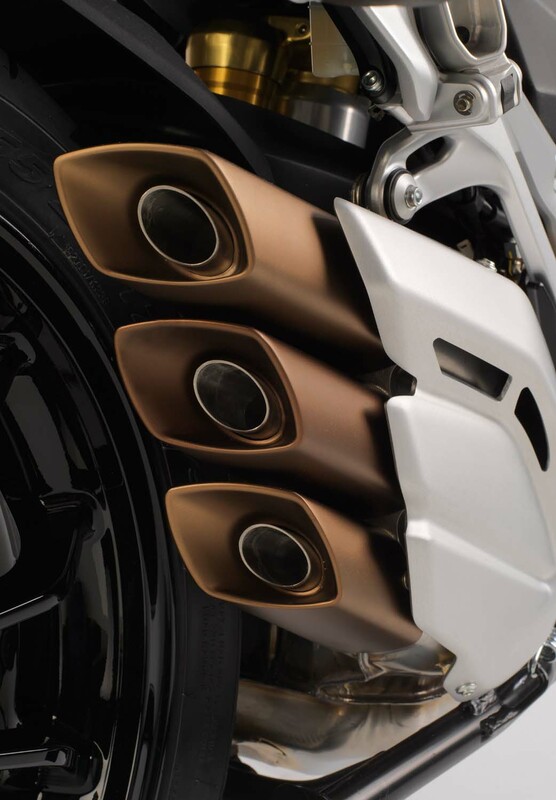 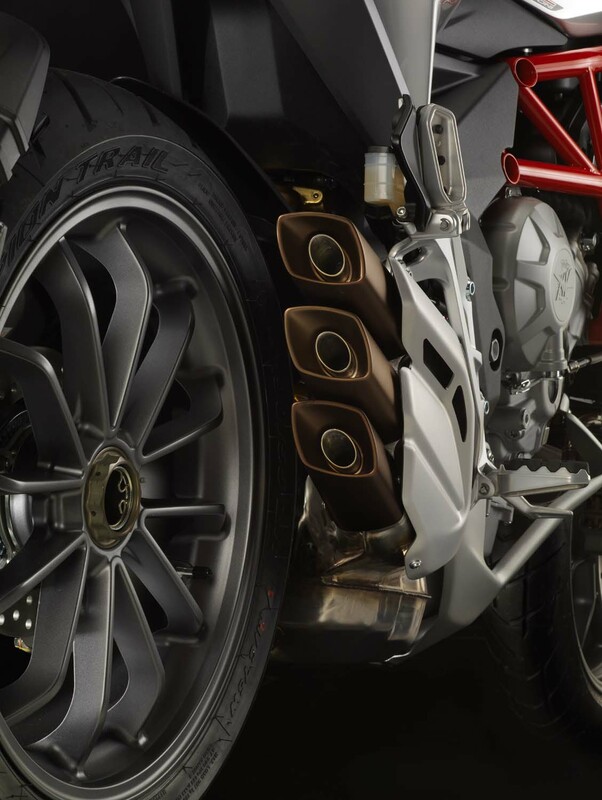 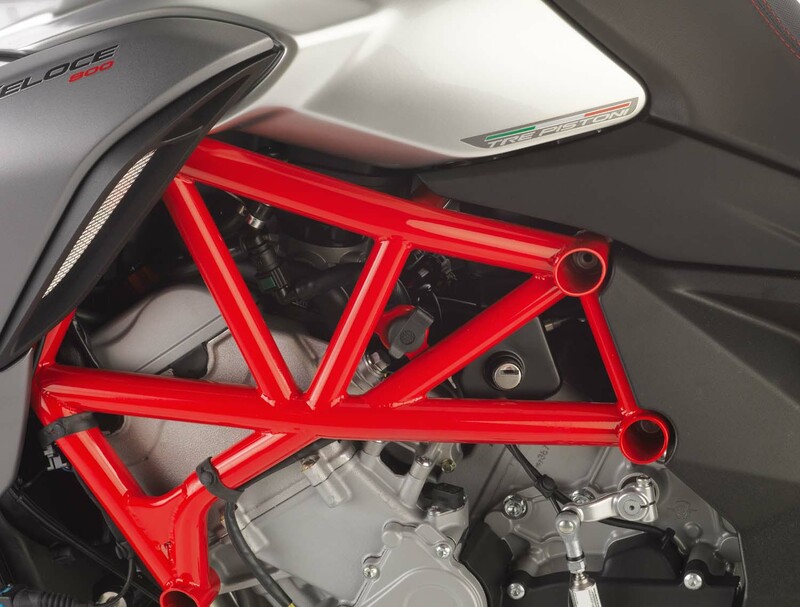 The system also includes an anti-wheelie function, and works in unison with the Sachs semi-active suspension that is found on the MV Agusta Turismo Veloce Lusso 800. 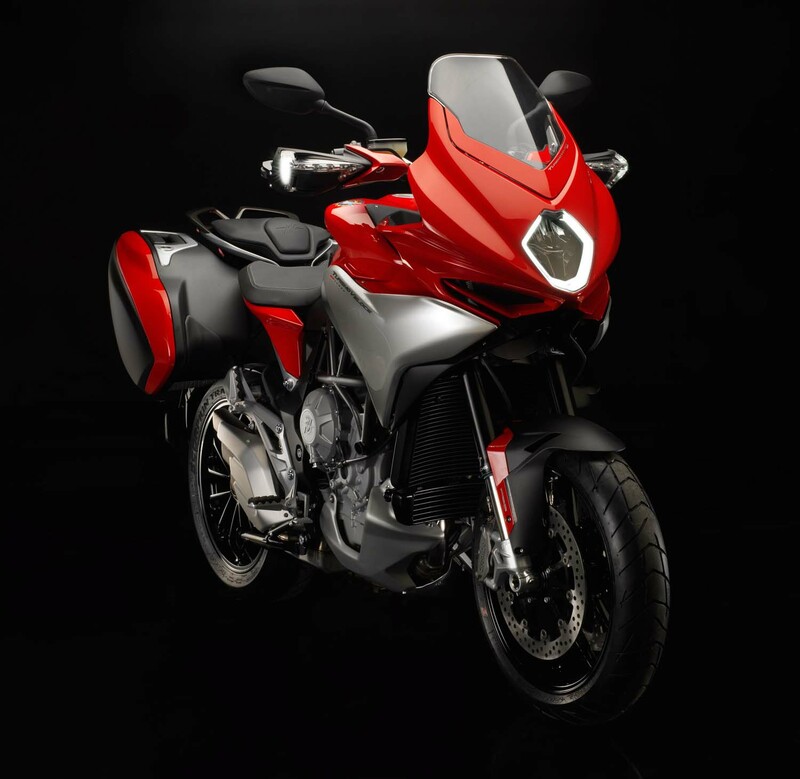 A higher-spec machine, the Lusso version of the Turismo Veloce 800 also comes with 60 liters of pannier storage space, heated grips, and bluetooth router (for connecting phones, intercoms, and other devices to the Turismo Veloce 800. 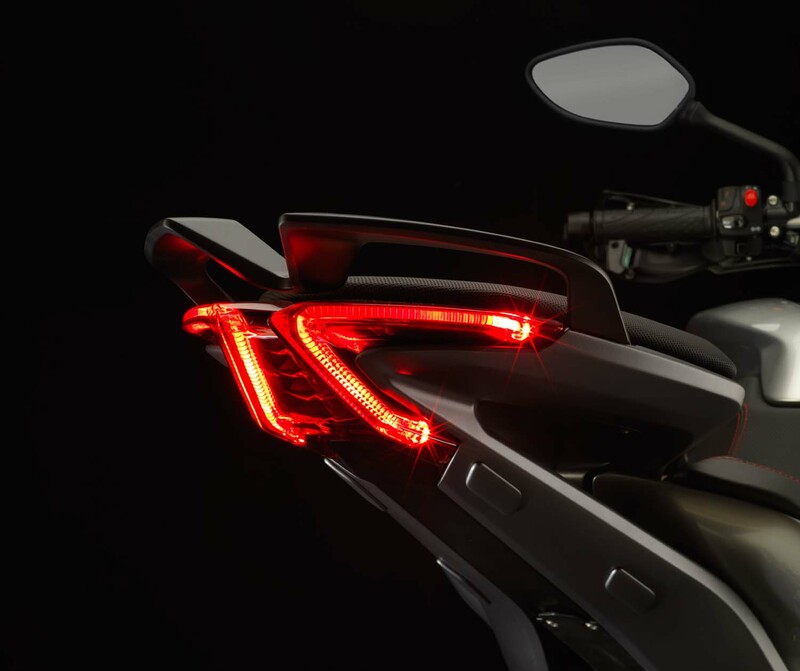 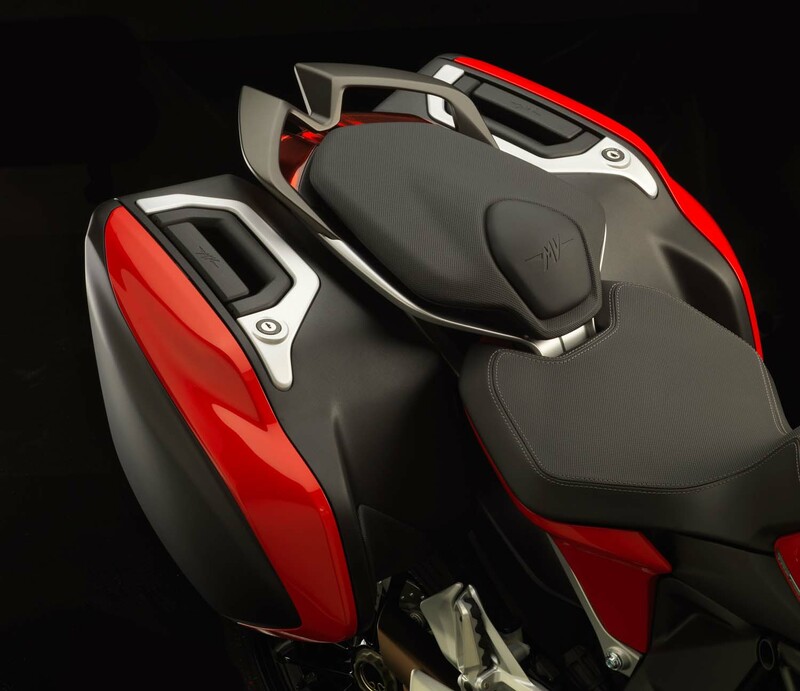 MV Agusta’s new connectivity system paves the way for other accessories, and the possibility of updating the bike’s software as MV Agusta makes improvements. 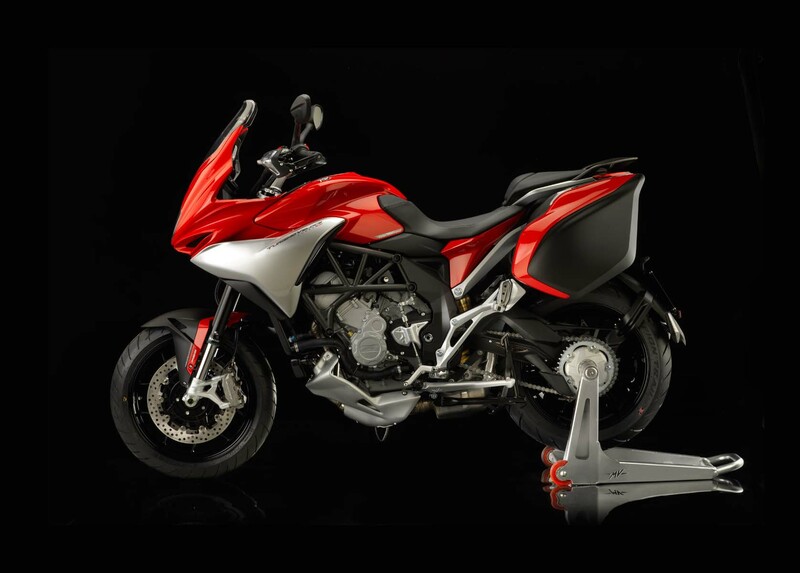 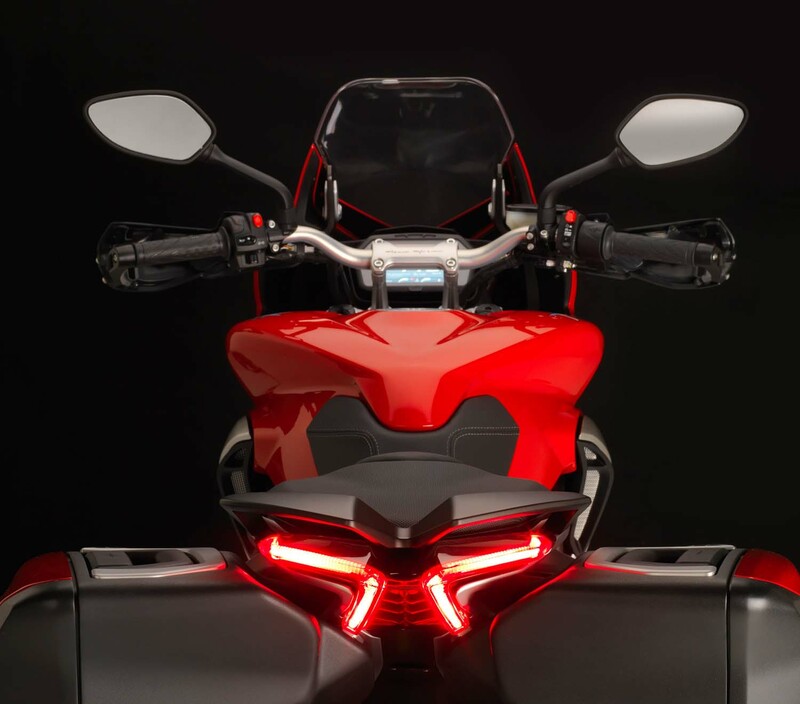 MV Agusta also says that a mobile is coming forth, which will allow riders to adjust their custom riding settings, and eventually the Italian OEM hopes to start a community site where MV enthusiasts can share ride routes and data.